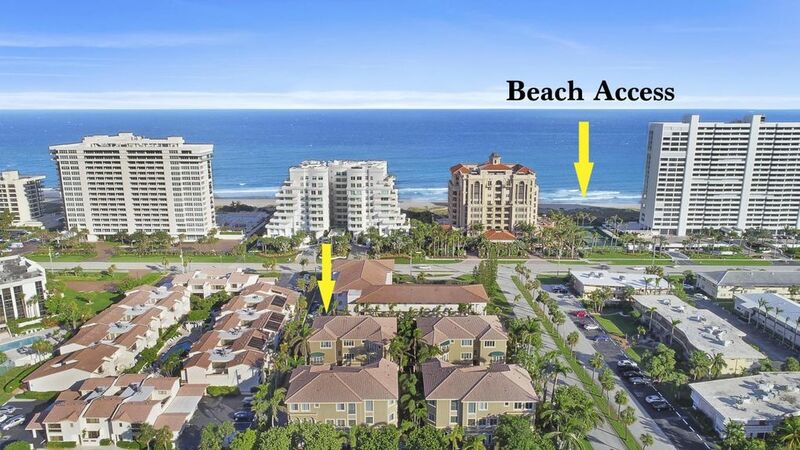 Rare opportunity to own a grand townhome located steps from the beautiful beaches of Boca Raton. This large 3-story townhome is situated as a corner unit in the community with a large 2-car garage. This end unit also features a private pool right in your back yard. This property has been taken care of with the highest standards including a new AC system and impact windows . Also includes the elevator to navigate each floor.